New Release – Changeling Fog – A Novelette from The Song of Forgetfulness series. I have a new release. Changeling Fog – the novelette. It was just a short story. A free download when someone bought Changeling Fog, book 1 in The Song of Forgetfulness Dystopian/Sci-fi/Fantasy adventure series. It is an introduction to the post-apocalyptic world of Adara and her troubled life in Cityplace. We learn more about the plight of this future world, meet some the mysterious inhabitants and get a glimpse of the supernatural in the eerie, scary Carnieval show that reveals just how devious and cruel the Agros really are. Then I began to tinker with it, you know introduce some new aspect of the heroine’s character via action scenes. Before I knew it, the short story became a novelette. That’s when I realised it could be used as part of my overall marketing strategy to gather a list of reader subscribers. So, I am offering a pretty good deal. If you buy Changeling Fog at only $0.99 and £0.99 you can get a copy of Whisper Gatherers absolutely FREE!!! Is that a good marketing ploy? I hope so. Anyway, it’s worth a try, I guess. Here it is then – Changeling Fog. The Carnieval horror show hits town. Cannibal renegades – Carnies – have entered the quiet confines of Cityplace. With them comes a clinging fog that turns the gentle occupants into savage beasts. In the future the world is ravaged by famine and disease, almost all animal life is extinct, people are starving and living in fear of the cruel Agros that rule NotSoGreatBritAlbion. Yet there is a haven amongst the desperate, scattered population – Cityplace – a closed community of peaceful folk, living a germ-free, worry-free existence. Within this sanitised metropolis, lives a seventeen-year-old girl who is different – a girl with a special power. She is Adara – Catcher of birds. Prior to the Facebook Extravaganza – for Fantasy Sci-Fi Dystopian Steampunk Bargain Books Party I am spotlighting each author taking part. 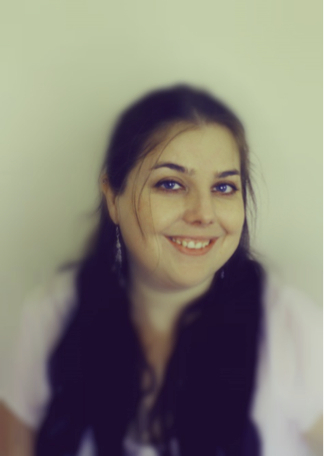 Today I would like you to meet the very talented and Best Selling author – Alesha Escobar, and her Historical/Mashup novels the Grey Tower Trilogy. I have read and enjoyed. Alesha Escobar writes fantasy to support her chocolate habit. She enjoys everything from Tolkien and Dante to the Dresden Files and Hellblazer comics. She resides in California with her partner-in-crime, Luis Escobar, a 20-year art veteran on The Simpsons television show. 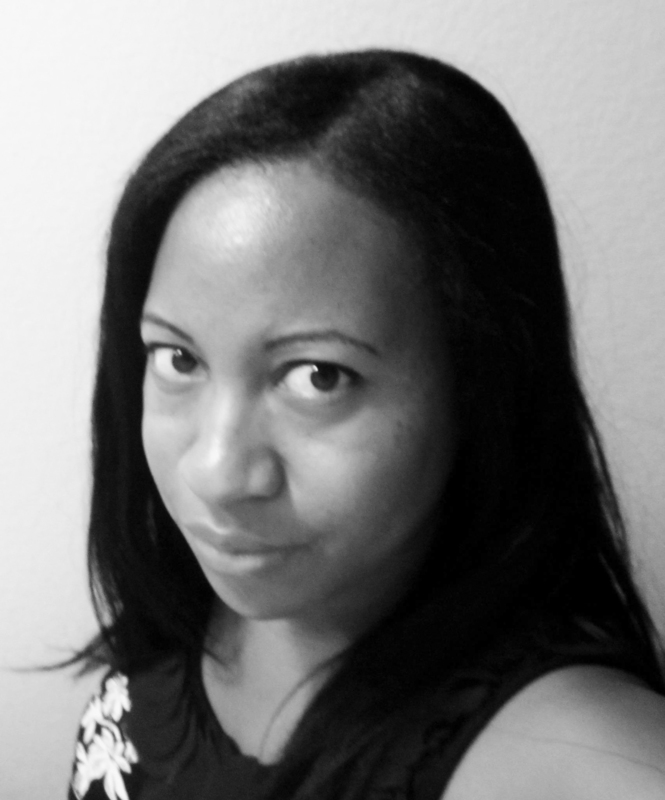 Alesha is the author of The Gray Tower Trilogy, an action-packed supernatural spy thriller set in an alternate 1940’s. The trilogy books have hit the Amazon bestsellers lists for Historical Fantasy and Mashups. You can find Alesha at her weekly blog, Fantasy, Mashups, & Mayhem, where she discusses fantasy and science fiction, TV shows, movies and books, and celebrity gossip. She’s just kidding about the celebrity gossip. Wizard Vs. Nazi Warlock Vampires. It’s a very different World War II. The Nazis have unleashed occult forces throughout Europe and the Allies are forced to recruit and employ wizards to counter their attacks. 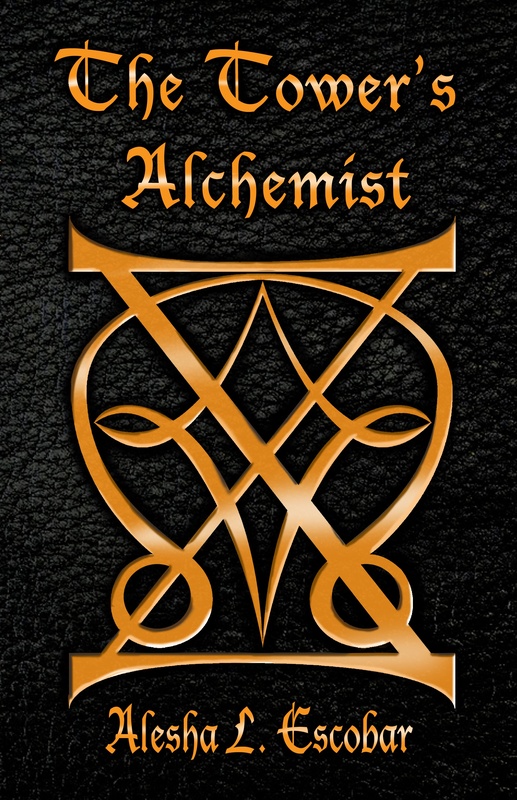 Among them is the battle weary spy, Isabella George, a Gray Tower dropout trained in Alchemy. Longing for retirement and a life of peace, she accepts one final job-extract a deadly warlock from Nazi occupied France and prevent him from unleashing an alchemical weapon that will devour the continent. But France is crawling with the Cruenti, vampiric warlocks who feed off other wizards. When things don’t go according to plan, one Cruenti sets his deadly eyes on her. Betrayal is everywhere. Even some of her closest allies cannot be fully trusted. Worse still, she finds, she can’t even trust herself. She becomes a woman torn between her charismatic spy lover who offers her what she desires most, and one of her closest confidants, whose soft seductive eyes hold deadly secrets about her past, and the Gray Tower itself. Plans within plans. Plots versus counter plots. Heists gone wrong, sword-wielding Catholic priests, and the greatest manipulation of history that has ever been seen, is just a taste of what Isabella George is in for, in her final mission. I am spotlighting the authors taking part. 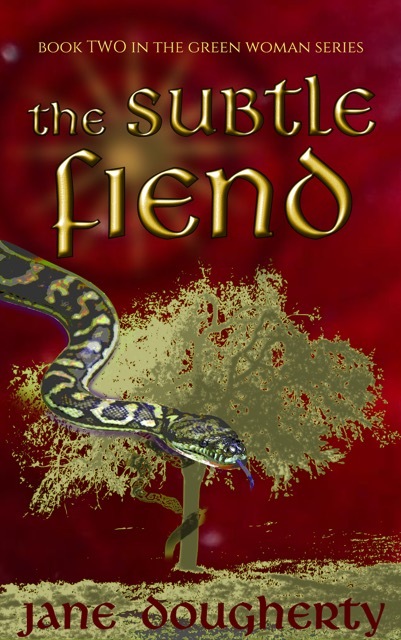 Today I would like you to have a look at the very talented and Acclaimed Fantasy author Devorah Fox. The Lost King the first instalment of the Bewildering Adventures of King Bewilliam epic fantasy series, is a brilliant book. “What if?” Those two words all too easily send Devorah Fox spinning into flights of fancy. Best-selling author of The Lost King, The King’s Ransom, and The King’s Redress in The Bewildering Adventures of King Bewilliam literary fantasy series she also co-authored the contemporary thriller, Naked Came the Sharks with Jed Donellie and the Masters of Time: a SciFi/Fantasy Time Travel Anthology. Publisher and editor of the BUMPERTOBUMPER® books for commercial motor vehicle drivers she is developer of the Easy CDL test prep apps. Born in Brooklyn, New York, she now lives in The Barefoot Palace in Port Aransas on the Texas Gulf Coast where she herds rescued tabby cats and writes the “Dee-Scoveries” blog at http://devorahfox.com. 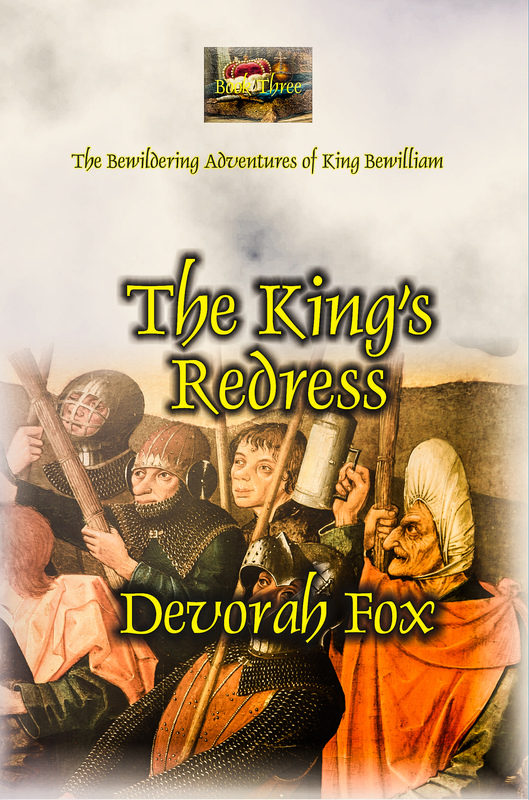 The KIng’s Redress is the Third in the Series the Bewildering Adventures of King Bewilliam epic fantasy series. When everyone you trust turns against you, what do you do? Dragon slayer of renown, Robin, King Bewilliam, has bested both man and beast to battle his way back to the Chalklands and reunite with his sons, but discord threatens the kingdom’s hard-won peace and prosperity. War breaks out and Robin finds that there is no one he can trust, not even his closest knights. Fighting for his throne pits him against a shocking, unsuspected rival. With his own life and lives of all his imperiled subjects at stake, Robin faces off against his fiercest enemy in mortal combat. 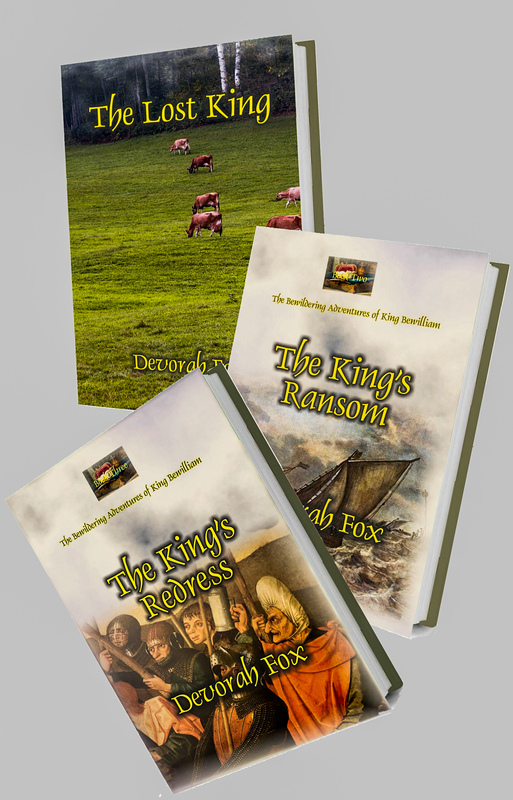 Don’t forget there are two more excellent books in the Bewildering Adventures of King Bewilliam epic fantasy series. I hope you enjoyed learning about Devorah’s books. 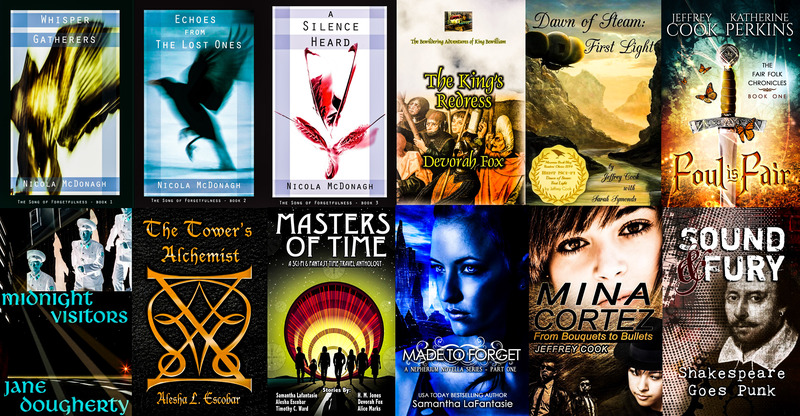 Prior to the Facebook Extravaganza – Fantasy Sci-Fi Dystopian Steampunk Bargain Books Party I am spotlighting the authors taking part. Today I would like you to have a look at USA Today and Amazon Bestselling Author of Heart Song and the Nepherium Series – Samantha LaFantasie. A Kansas native, Samantha spends her free time with her three kids and arguing with her characters. Writing has always been a passion of hers, forgoing all other desires to devote to this one obsession. She’s primarily a fantasy writer but often feels pulled to genres such as sci-fi, romance, and others. There’s something that lies within my memory. Hidden in the dark. Something that can kill me and those that I love. But I was in an accident, covered in mystery and deception. And my memory…was lost. There are those who want me to remember. I don’t trust them. And those I do trust…are fighting for me to forget. 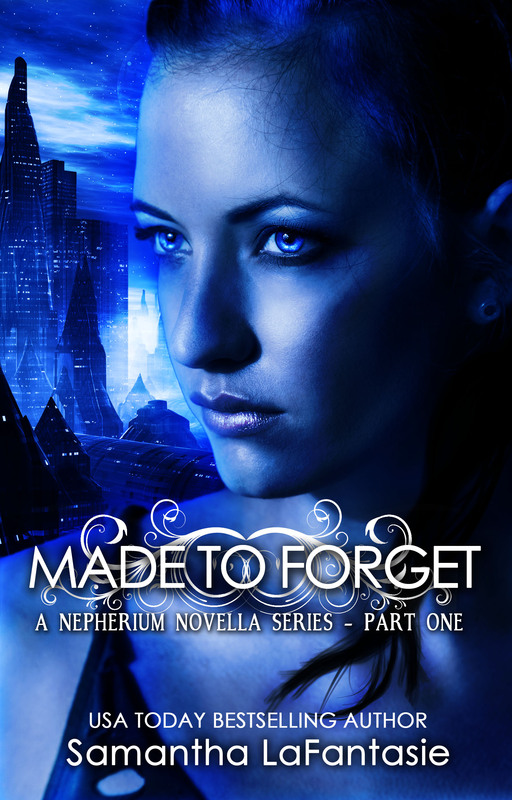 Elsabetha Ellery wants to get her memory back, even if it kills her. After waking up in a hospital with no memory, Elsabetha quickly learns those who claim to be her friend are anything but. And those who are her true friends keep themselves unseen. Stuck with piecing together her broken memories alone, Elsa struggles with having faith in those she trusts and heeding the warnings of the dangers in recovering her memory. Ignoring them, she faces heavy consequences. Ones she doesn’t see until it’s too late, and a life is lost. Prior to the Facebook Extravaganza – Fantasy Sci-Fi Dystopian Steampunk Bargain Books Party I am spotlighting each author taking part. 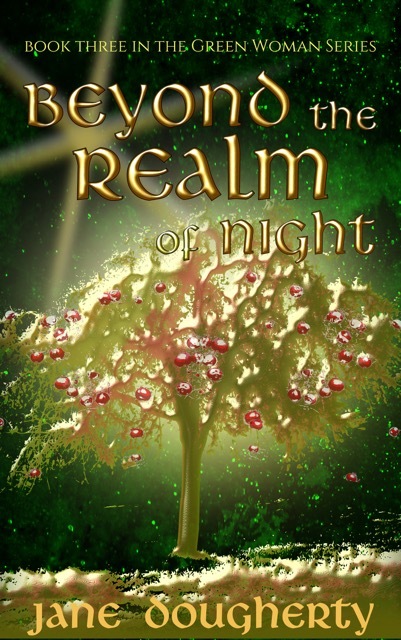 Today I would like you to have a look at the very talented Fantasy author Jane Dougherty. I am familiar with her work and can vouch for the fact that she is a brilliant writer. 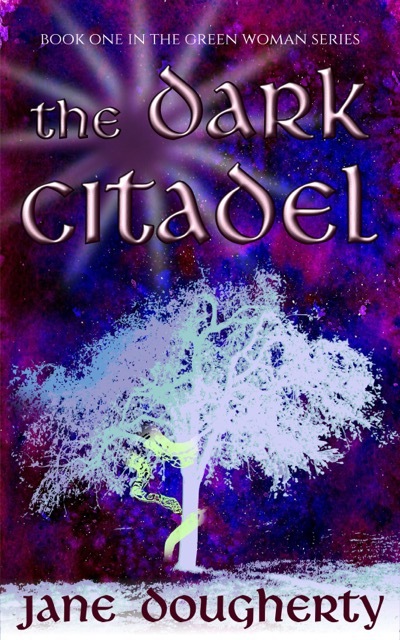 Dark Citadel is an excellent read by the way. 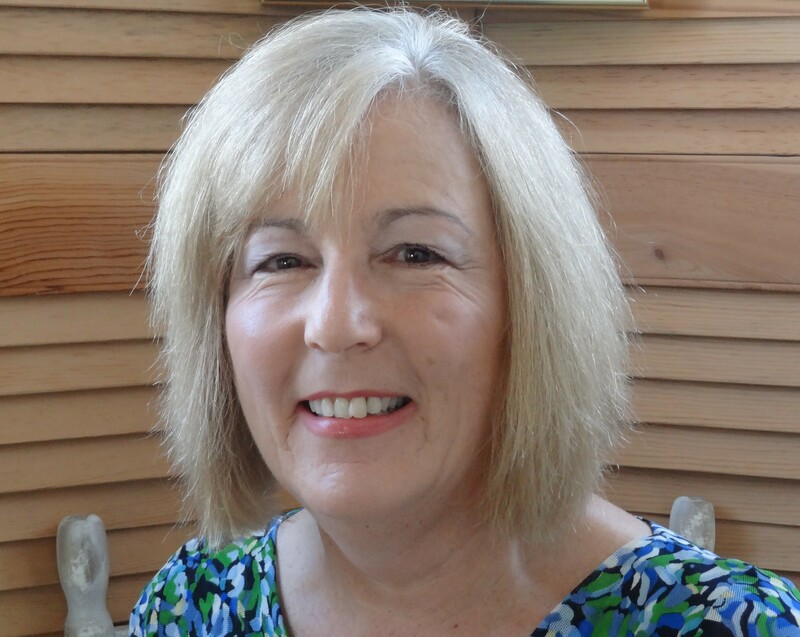 Welcome, Jane Dougherty!! Jane Dougherty writes various kinds of fiction but finds it very hard not to include at least an element of fantasy. Her self-published trilogy, The Green Woman is straight up no nonsense fantasy. The retellings of some of the great love stories from Irish myth, she co-authored with Ali Isaac, are in that hazy, magical domain between historical fact and flight of poetic fantasy. Wormholes, her new YA series, starts off as gritty, realistic Armageddon, but rapidly takes off into pseudo-science fantasy inspired by some of the more trippy writings of the Apocrypha. The first volume is to be published by Finch Books this autumn. 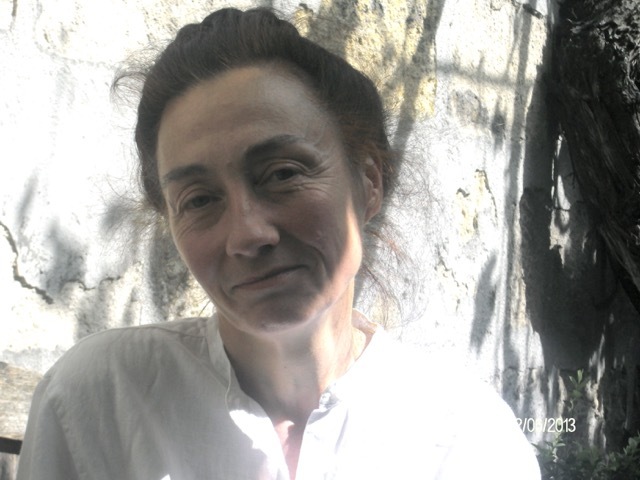 Jane is also a prolific writer of short fiction and poetry, some of which has been published in anthologies, literary journals, and webzines. To read some of her poems or download a short story, visit her blog at: https://janedougherty.wordpress.com/ For official purposes she gives Bordeaux as place of residence, but most of the important stuff goes on inside her head. Deborah has a secret Though she doesn’t know what it is. The Protector does And so does Abaddon, the demon king. Both of them want her destroyed. Her only shield, a wild boy and a pack of wolfdog pups. Between them, Deborah and Jonah have forged a weapon that even the demon fears: Love. Together, the pariah girl and the dog boy will change the world. Or die in the attempt. When reality becomes a nightmare, only dreams can save the world. Deborah, daughter of the fabled Green Woman, has disappeared. Hera, another grey-robed schoolgirl, has become the hostage in her place. Amon is destined for a military career, but convinced of the innocence of his prisoner, he begins to question the laws and values of his city. To hang onto power the Protector determines to destroy the Green Woman’s allies within Providence by lighting the sacrificial fires of Moloch. When the flames have burned out not one will be left. As the flames of evil leap and dance in Providence, Hera and Amon resolve to defy the Protector, with courage as their only weapon. At the end was darkness. Now it is time to go back to the beginning and rekindle the light. Deborah, the daughter of the Green Woman, reaches her journey’s end only to find it has barely started. Escaping Providence was the easy part. Now, as her mother’s strength fails, the burden of the Memory passes to Deborah. The Garden is waking, the Iron Horde is massing, the Queen’s host is gathering. The Fianna have sailed the western ocean and Providence is alight. But evil has put down strong roots in the hearts of the citizens of Providence and Deborah fears she has not the power to tear it out. If she cannot summon up the green earth magic of the tree, Abaddon and his Iron Horde will trample the new shoots of the Garden. For Abaddon has the power of death with him. The weapons to defeat him are life and love, but Deborah longs to join the shadowlands, and her love is dead. This is the final volume of The Green Woman series, in which the broken pattern will be mended and the balance of good and evil restored. Or not. And now here is your chance to get a FREE DOWNLOAD of a Green Woman short story. 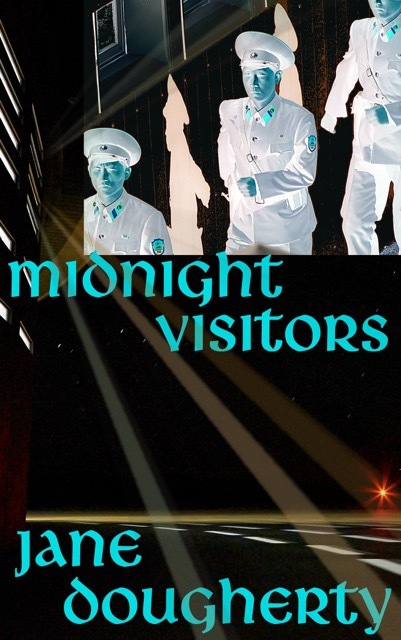 Midnight Visitors is a five day free download from the 14th to the 18th July. This short story is set in the world of The Green Woman. It follows naturally from the second volume of the series, The Subtle Fiend, but can be read as a stand alone story. When Aisha learns the identity of her betrothed, something unheard of happens—her parents try to prevent the marriage. But in a city bounded by a crystal Hemisphere, where no rebellion is tolerated and every gesture is monitored, where can Aisha hide? Adam, her brother, believes the rumours of a resistance movement, the followers of the Green Woman, but to put his sister in their hands, first he has to make contact, and the Pure Ones have so much more practice at rooting out clandestine activity than he does. The Green Woman is moving, but so is the evil generated by the the Elders of Providence. Many stories will end in tragedy before the fate of the world is settled. I hope you enjoyed learning about Jane’s books. Don’t forget – join Jane and me on 18th July for Fantasy Sci-Fi Dystopian Steampunk Bargain Books Party.